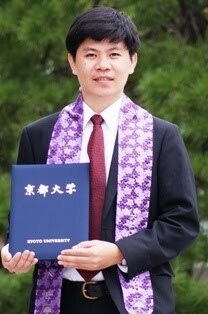 Nguyen Ngoc Huy (1979) received his Bachelor and Master of Science degrees from Hue University in 2001 and 2004, respectively; and his PhD from Kyoto University (Japan) in 2010. He worked as a lecturer Hue University of Agricultural and Forestry (2002-2006) and a researcher at Kyoto University (Japan, 2010-2012), before joining as a technical specialist at the Institute for Social and Environmental Transition (2012-now). He consulted for several international organizations, including World Wide Fund Indochina (2003), Asian Cities Climate Change Resilience Network (2009), United Nation Strategy of Disaster Reduction (2009), United Nations Convention to Combat Desertification (2010), Asian Disaster Reduction Center (2010), International Fund for Agriculture (2011), United Nations Educational, Scientific and Cultural Organization (UNESCO, 2011). His major is climate change and biology.